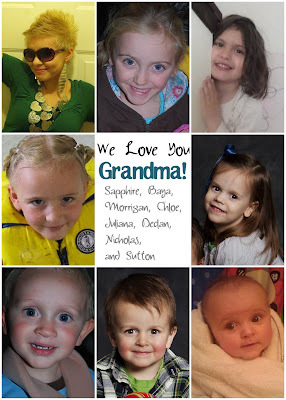 I made this collage for my mom to have with her at the hospital. She had asked for some grandkid pictures, which I had totally forgotten about until this morning as I was getting ready to leave. Luckily I already knew how to do it, so I quickly put this together. I hope my sisters and brother-in-law don't mind that I swiped some of their facebook pictures! With the recent disappearance of Picnik (or however that was spelled), which I know a lot of bloggers used, I thought I'd post a little tutorial on how to make this type of mosaic in the program I use, Picasa. 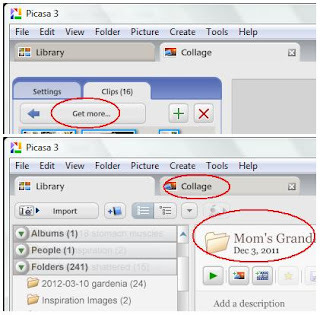 Step 1: Download Picasa if you haven't already. Step 2: Chose your pictures. I copied each picture into a separate folder so I wouldn't have to go hunting for them. Step 3: Crop all the pictures to the same dimensions. For the collage above, I knew I wanted to print it at 5x7, so that's what I used to crop the pictures. Step 4: If you want a white space with words like I did, create it now, using Microsoft Paint or Pixlr. I used Pixlr. I created a new project, using the dimensions of 500x700 pixels so I had the correct height-width ratio. Then I just added the text and saved it. The only reason I did this is because Mom has only 8 grandkids so far, and I had nine spaces in my grid. Step 5: Open Picasa and click on the Create menu then select Picture Collage. Step 6: Select the Clips tab. If your images aren't there, click on Get More, then browse 'til you find the right folder. 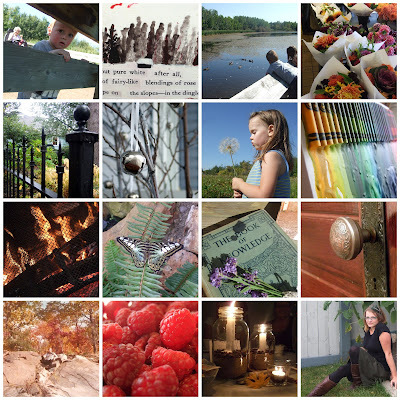 Select one or more images, then return to the Collage tab. Step 7: Drag your pictures onto the collage canvas. Click on the Settings tab and choose the layout option you like. I used Grid, because I like symmetry. 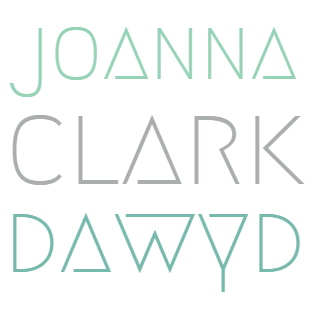 I also adjusted the grid spacing to show a little white space. 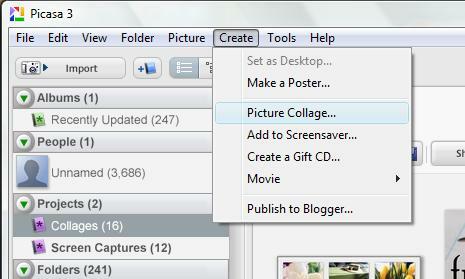 Step 8: Drag each picture into the correct order in your collage if you have a preference. Step 9: Click Create Collage and you're done! If you have any questions (because I'm not very good at explaining step by step), just ask! The collage bellow was made using the same method, although I didn't crop the pictures first. I'm sure your mom loved it! I haven't used Picasa yet - will have to download it as soon as the weather gives me an excuse to spend more time at the computer.